Welcome to the Argyll Hotel a seaside hotel with a beachside terrace on the beautiful Kintyre Peninsular. Located in Bellochantuy,10 miles north of Campbeltown. A tradition West Coast of Scotland Hotel / Inn serving good food, local real ales, Scottish craft gins and a range of malt whisky. Enjoy amazing Atlantic Ocean and island views from the conservatory restaurant and relaxed lounge area. Dog welcome. Safe storage for cycles, motorbike parking. Welcome to the seaside and beachside Argyll Hotel, 10 miles north on Campbeltown on the beautiful Kintyre peninsular. 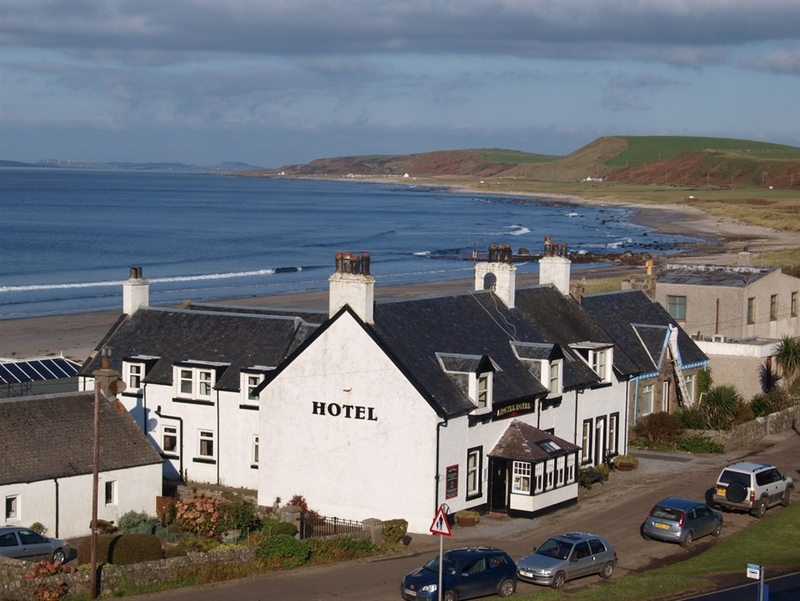 The Argyll Hotel is Kintyre's only beachside hotel with most of the hotel bedrooms having a seaview. There are also stunning seaviews from the conservatory restaurant and outdoor seaside terrace. Enjoy the white sand beach and Atlantic Ocean views taking in the Inner Hebridean islands of Islay, Jura and also Gigha. We are very dog friendly offering relaxed environment with great walking opportunities for you and your dog across the whole peninsular. The hotel beach has been rated by Elle Magazine as one of the top 5 dog friendly beaches in the UK – ideal for a dog friendly hotel in Kintyre, Argyll, Scotland. Dogs are welcome in nearly all areas of the hotel. Cyclists are welcome and can use our large shed for secure storage (accessible by ferry form Arran or Adrossan (summer only)). Motorcyclists are welcome too and can take advantage of the stunning A83 for a great motorbike ride from the head of Loch Lomond into Argyll & Bute to join the Atlantic Ocean seaboard. Discreet motorbike parking on the terrace available. Ample free parking for cars at the front of the hotel. The hotel is a traditional West Coast of Scotland Inn, with modest but comfortable bedrooms, offering a friendly relaxed service from owners Ian & Nick and the team - hopefully making you feel at home from the outset. 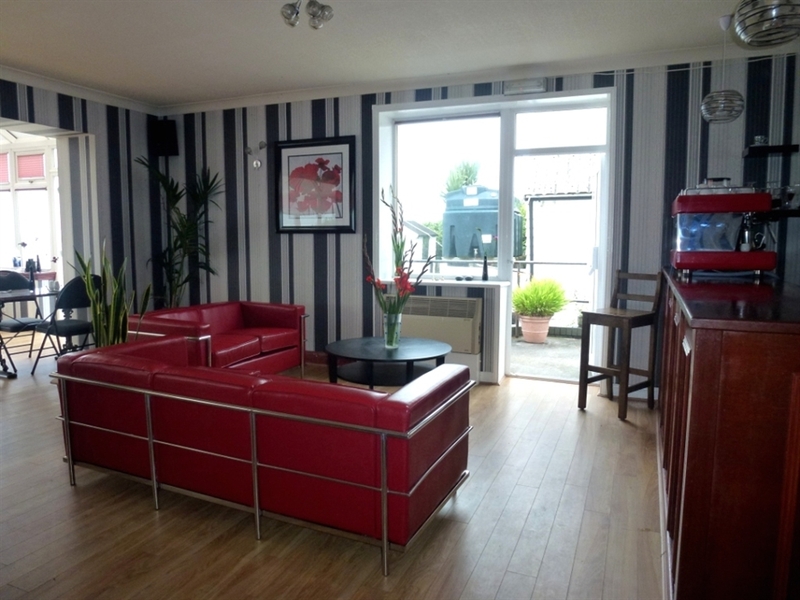 There is also a cosy traditional bar (serving real ale, craft gins and malt whiskies), a pool room and relaxed seating in the conservatory area along with the seaview restaurant. Wi-Fi is free (but the quality is intermittent being a remote rural area – as too is mobile phone signals) – ideal for a digital detox'! As a seaside hotel there is beach right off the terrace but Kintyre also has plenty more beaches to explore. There are also many walking opportunities, golfing, wildlife spotting on land and sea, and many historic and pre-history sites to visit as well as three whisky distilleries.